Jeep owners are fanatics about customizing their beloved vehicles. Roll bars, new radios, headlight guards, high-end winches, off-road tires, rock sliders, even upgraded drive shafts — the obsession is real. As a result, dozens of vendors have stepped up to meet the challenge of providing aftermarket upgrades for Jeep owners who want to turn their vehicles into extensions of their personalities. 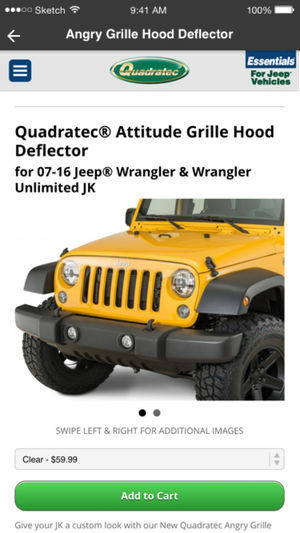 That’s where Quadratec comes in: The brand has been selling parts and accessories to Jeep owners since 1990. Millions of Jeep enthusiasts have a long tradition of waiting for their Quadratec catalogs to arrive in the mail, then poring over them eagerly. Times are changing, though. Yes, those catalogs can still reach Jeep drivers directly. But how can the brand connect its catalog to its website and e-commerce store, where customers are increasingly likely to head when they’re ready to make a purchase? Quadratec could have decided to discontinue its printed catalog and be done with the expense and effort involved, like many brands have done over the past few years. That would seem the simple, obvious choice. But Bear Pratt, VP of marketing for Quadratec, wondered if there was another way. Pratt wanted to hold onto the printed catalog because of the company’s long tradition, certainly. But that wasn’t the only reason. He felt the catalog spoke directly to the needs of U.S. Jeep owners and that it was an essential response to their understanding of Jeep enthusiasts’ shopping needs. Quadratec’s mission is to deliver to Jeep enthusiasts exactly the aftermarket parts and accessories they’re looking for, whether for classic Jeeps or up-to-the-minute models. Quadratec’s staff are Jeep fans themselves, with the deep well of knowledge and experience needed to provide the expert advice Jeep owners desire. In that context, the printed catalog still makes sense. As Pratt points out, receiving a huge catalog in the mail helps customers get an emotional sense of the large array of products awaiting them. Yes, the website can stock more characters, but viewing a single page of choices doesn’t have the same impact as receiving and paging through the giant catalog. When customers see all the choices they have available via the catalog, they’re able to continue thinking of Quadratec as a brand leader — even if they turn to the website to make their purchases. Which raises the next question for Quadratec: How can a brand preserve a printed catalog in an increasingly digital age? That very question led Quadratec to consider how the catalog could be improved. Specifically, customers needed to be able to find a way to buy products easily — and online — from the catalog. If this problem could be cracked, Quadratec could tap into mobile traffic, as well as desktop views, and keep the catalog alive and thriving alongside increased e-commerce activity. The answer turned out to lie in the realm of augmented reality (AR). Pratt had been researching new technology and working with Quad Graphics and other software companies since about 2010, so he was ready to make the leap into applying AR to the Quadratec catalog to enhance the customer shopping experience. Quadratec produces 20 different, uniquely AR-enabled catalogs per year, and each catalog has full information on how to download the app, along with a listing of everything that’s available through it. Augmented reality technology, though still establishing itself, has already proven to be an incredibly versatile consumer resource. According to a study published by the ISACA, 62% of consumers reported1 that they believe augmented reality has the potential to improve the shopping experience. In addition, AR has reached revenues of about $428 million in 2018, with that number expected to explode in the next few years, with display ad and visual search revenues via AR totaling more than $2.6 billion by 20222. Revenue from visual-search and AR display ads are expected to climb, according to a report from ARtillry Intelligence. Using the app, Quadratec customers can shop directly from their smartphones thanks to the catalog’s shoppable pages. Starting with that data, Pratt could see Quadratec’s target audience for an AR campaign: anyone with a Jeep and a smartphone. The overlap with Quadratec’s already-existing audience was, obviously, massive; which meant AR was worth trying. “I wanted a very quick and easy way for the customer who was interested in something in the catalog — and liked finding parts in the catalogs — to be taken directly to that product on our website, so they could buy it or get more information about it, such as read the PDF instructions, see additional images [or] watch the video about it,” Pratt explained. Quadratec now had to target these customers — people who had an emotional attachment to the experience of flipping through the catalog. Knowledge of these customers’ needs could, Pratt believed, be paired with AR to enhance the overall customer experience. In the past, this type of technology had been used for promotional purposes or to call attention to special products. In essence, this use of AR made the customers do a lot of work on a one-time basis. Maybe the customers were happy with their one-off bargains or early access to a product, but it didn’t cement in their behavior the tying together of the smartphone and the catalog. Quadratec’s solution was to tie the AR experience to everything in the catalog. The reasoning behind this? Customers always have their smartphones available, so making it easy to find a specific product online has an immediate payoff. They made their decision after viewing the available image recognition technology. Decision makers at Quadratec had previously considered using QR codes in the company’s print material, but felt they would muddy up the look of their catalogs. Image recognition provided a solution that was affordable and scalable. Now they could provide an option for customers who enjoyed browsing the catalogs, but who wanted the convenience of buying online. The first step was to create a mobile app that allowed customers to browse the catalog, smartphone-in-hand. The idea was that with the free app, customers could scan items in the catalog to get a pop-up icon on their phones. Clicking on the icon would link the user to Quadratec’s e-commerce store. From there, customers could save the item they were researching onto a wish list, or even add it to their carts and handle the purchases directly from their phones. The goal was to make the leap from catalog to product page via AR as easy as possible — no navigating the website, no working one’s way through categories to find the right product. Instead, Quadratec wanted customers to reach the Jeep products they were looking for in one or two clicks from their phones. The app needed to work with every product in the catalog, which meant it had to recognize every single image in the catalog, in perpetuity. Without this ability, Quadratec knew customers wouldn’t use it as more than a novelty. The app had to take customers directly to the project in question, with no glitches or intermediate steps. Quadratec knew customers wouldn’t be interested in an app that just dumped them at the landing page and made them start a search from scratch. All links had to be kept active at all times. The app had to be easy to use on both smartphones and tablets. In addition, the app had to be proprietary to Quadratec; the company didn’t want to jump onto someone else’s tech and try to make it work. The integration of the mobile app with the already-existing physical catalog created a seamless link between the fun of browsing the catalog in a traditional way and the convenience of shopping online. The AR thus acted as a bridge between the old and the new — physical and digital. Jeep fans could revel in the customer experience they’d always enjoyed, while taking advantage of the ease of modern online ordering. As a bonus, augmented reality made the physical catalog even more relevant than it had ever been. Studies show that consumers like AR and enjoy using it as part of their shopping experience. In fact, 40% of shoppers are willing to pay more for a product if they get to use AR during their shopping experience. Quadratec now produces 20 different, uniquely AR-enabled catalogs per year, sending out millions to consumers. The catalogs are targeted at different demographics, adding another level of personalization, with each customer receiving a maximum of seven catalogs per year. Each catalog has full information on how to download the app on Page 2, along with a listing of everything that’s available through the app — images, videos, instructions and more. In addition, every page of the catalog features a header encouraging readers to go back to Page 2 and scan it to download the app or to visit the company’s website for the same purpose. As a result, the catalogs remain a powerful tool to let customers know about new products, making them aware that they’re choosing from a huge inventory of options. Emotional and sensory attachment to the traditional catalog provide further ties to boost brand loyalty. And now the physical catalogs also push readers toward the website. 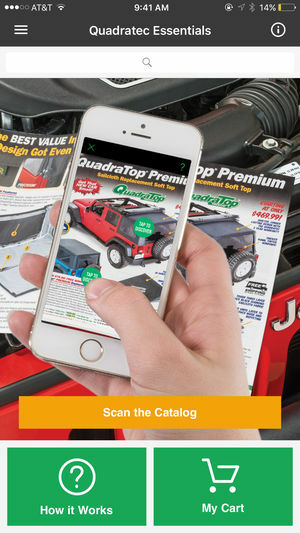 Once the app is downloaded, customers can quickly scan pages of the Quadratec catalog in order to get more information about products, as well as add items directly to their carts. Since launching its first AR-enabled catalog, Quadratec has experienced a 3% boost in sales. 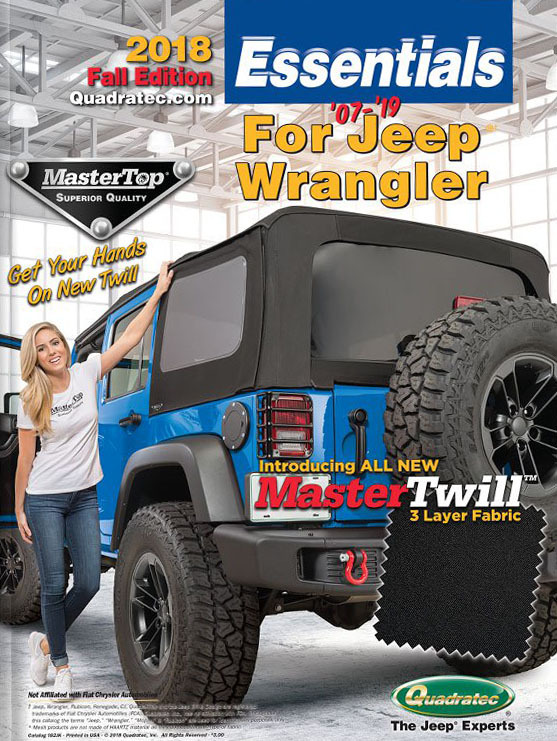 Its mobile app is used an average of 200,000 times each month by Jeep enthusiasts, thanks to the connection between the target audience, and an understanding of how printed catalogs can continue to thrive into the future. Quadratec’s success in elevating its print catalog with AR shows the benefits of endowing print with the power of digital and mobile tech. Yes, Quadratec benefited from that increase in its sales numbers, but the value didn’t stop there. Quadratec also was able to collect data from its users — in effect, turning a print campaign into a fully trackable digital marketing campaign. 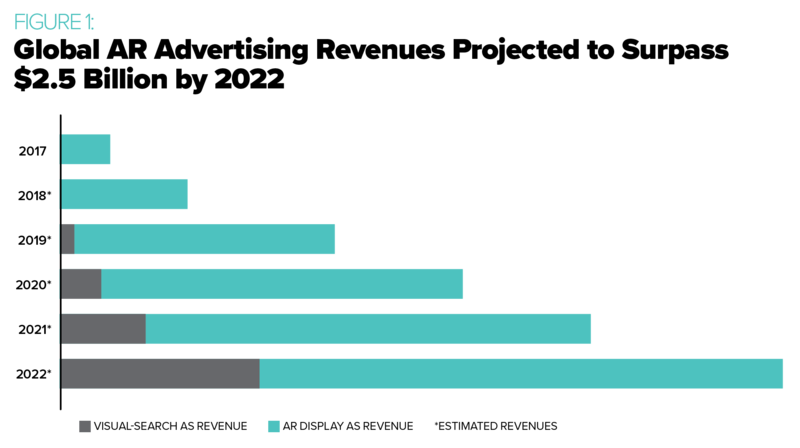 With quantitative data showing how often the app is downloaded, how often it’s used, how long users stay on the app, and what the conversion rates are, Quadratec is able to come to a fuller understanding of its customers than it had ever imagined. The data collected can be used to refine the customer experience further and to plan future campaigns. In addition, capturing customer contact information from the experience makes it easy for Quadratec to add those users to mailing lists and to follow up if they abandon carts or leave the site without purchasing. Quadratec’s customers also get a great deal of information from their virtual journey to the website. Before the creation of the AR-enabled catalogs, they were able to chat with a customer service representative who could use their knowledge of the brand’s products to provide personalized assistance. Now, even though customers are less likely to phone in an order, they can still get all the information they need by looking at interactive photos, watching videos about their product of interest, and reading the instructions. The entire AR experiment was a win-win: Quadratec’s customers got the benefit of the traditional catalog and the convenience of the app, plus the company was better able to serve them and meet their needs. Quadratec has planted itself firmly as a company with dual marketing outreach, via both print catalog and digital presence, providing another touchpoint for its brand awareness and generating a greater sense of loyalty from customers. On the other side of the equation, Quadratec gained valuable data about its customers and enjoyed an increase in sales — and as a bonus, it found that the AR campaign engendered a greater sense of brand loyalty on the part of its customers, as well.